Home » News » POPOF to perform live stream from an Ice Rink in Paris! 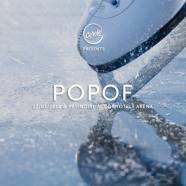 POPOF to perform live stream from an Ice Rink in Paris! POPOF will perform at the center of the ice rink for a full immersion from both the crowd and the livestream audience. Participants will be provided with ice-skates, for dancing and skating during the show. The artist will be filmed at all angles by several cameras during the show, which will be livestreamed on Cercle’s Facebook page. The live performance will then be followed by an interview with the artist, during which the viewers online will be able to ask questions. Alexandre Paounov aka POPOF is initially one of the founders of legendary French collective Heretik System. 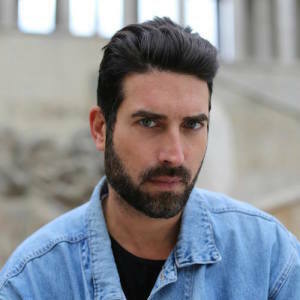 After personally and musically maturing throughout the years, exploring various different worlds, his notoriety exploded worldwide thanks to his minimal techno classics such as “Serenity” and “Do you Want Me”. POPOF became a high-profile remixer, working with the likes of Depeche Mode or The Chemical Brothers. In 2015 POPOF released his first highly-acclaimed album, “Love Somebody”, on Jamie Jones’ imprint Hot Creations. Today, POPOF juggles between his production career while heading his label Form Music. His new EP « Confusion », recently released in 2018 on Nicole Moudaber’s Mood records, has gone back to POPOF’s techno roots, sprinkled with Acid influences. His next EP « Enforced » is due to be released soon on Adam Beyer’s Truesoul label. Cercle is a cultural medium dedicated to promoting artists and places. Its objective is to produce an exceptional audio and visual experience while raising its viewers’ awareness about the French architectural heritage, art and culture. Every week, an artist and a place are put forward during a one-hour performance taking place in an unusual venue, followed by an interview on Facebook Live. Cercle has already produced a long series of high profile events in unusual places throughout the world, from the Eiffel Tower to Fontainebleau Castle to the middle of the Pacific Ocean in Tahiti or the Montparnasse skyscraper’s rooftop. In a bit more than a year, Cercle has garnered 450.000 followers and more than 75 million views on Facebook and YouTube after its first show was broadcasted.